The UAE ride-hailing app Careem will hire almost 20,000 women drivers across the Middle East in the next two years to meet growing demand.Ahead of International Women's Day on Thursday 8th of March 2018, The company said on it will increase the number of female 'captains' in the 13-countries it operates in from the present strength of 500. “We realise that up until today we have focused our efforts predominantly on attracting and catering to male captains. It’s time for us and the entire industry to wake up," said Mudassir Sheikha, co-founder and chief executive. Careem has women captains in UAE, Egypt, Pakistan, Jordan, Morocco, Lebanon, and Palestine.Despite the societal stereotype of driving being associated only with men, Pakistan leads in the numbers for the female fleet and sees captains signed up to drive bikes and rickshaws as well as cars. 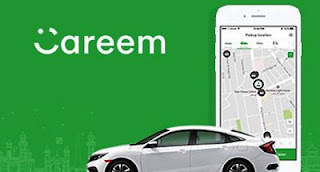 After the announcement in Saudi Arabia in September that women would be allowed to drive, Careem registered more than 2,000 women across Riyadh, Jeddah and Dammam.With a female-only call centre operational in Jeddah, Careem will look to launch a female-only training centre in the Kingdom later this year with specialised training materials and women coaches. Careem said a 'women captains' committee' will look at how to boost recruitment and the experience of women drivers.The company added in a news release that "in light of the ongoing instability in certain areas of the region, heightened safety and security measures will be put in place to keep female captains safe".